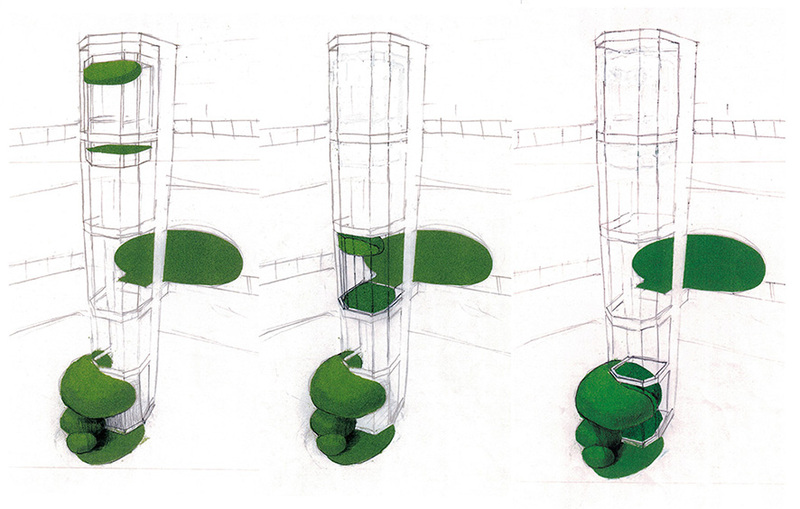 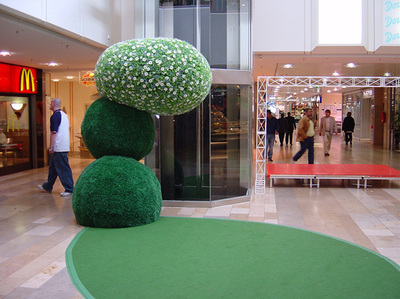 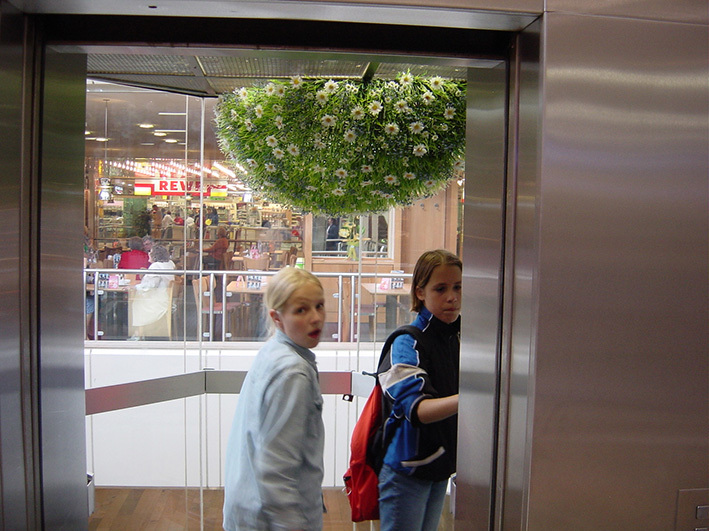 In his project MOSS GARDEN, Matsui used the entrance of a shopping mall to create a reference point for nature, whose artificiality was then reinforced by the movement of an elevator. 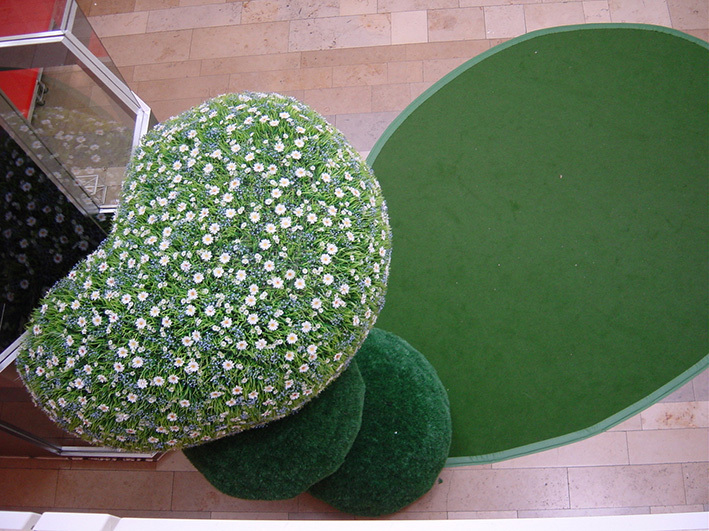 The artist used the representation of a shadow, a principal form he has often worked with in the last few years. Each piece of the installation refers to a whole that can be experienced through movement.